Fatburger, initially called Mr. Fatburger, is a fast-casual restaurant chain known for its tall burgers, French fries, milkshakes, and soft drinks. Its headquarters is located in Beverly Hills, California. The chain was founded by Lovie Yancey in Los Angeles, CA, in 1947. Yancey drew the name “fatburger” from the idea of serving huge burgers that can be a full meal in itself. 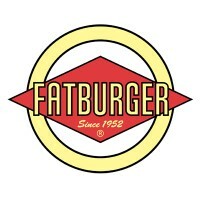 Fatburger currently has more than 200 franchise locations, giving employment to over 4,000 people. Aside from the United States and Canada, it is also franchised in the United Kingdom, Philippines, China, Malaysia, Singapore, and about 10 more Asian countries. As it is a franchised business, wage and benefits package may vary per location. But mostly, employees receive food discounts, performance rewards, holiday pay, and healthcare plans, which include dental and vision coverage and 401(k) retirement plans. Working at Fatburger, one can expect a fun, friendly, and upbeat environment. Crew members carry out their tasks with a smile and with style. They work as a team that delivers high-quality food and excellent service. How old you do have to be to work at Fatburger? You have to be at least 18 years old to work at Fatburger. Some franchise locations, however, may consider 16-year-olds for entry-level positions such as team member and kitchen helper. Fatburger offers part-time and full-time jobs to qualified candidates. Entry-level jobs include team member, food counter attendant, cook, kitchen helper, and dishwasher. Managerial roles are typically given to more experienced individuals who exhibit strong leadership, time-management, interpersonal, customer service, and analytical skills. Team Member: Team members greet customers, take food orders, prepare meals, deliver orders, and visit tables to make sure customers are highly satisfied with the service. They maintain the restaurant’s quality control in terms of presenting, preparing, and serving food, interact with customers in a courteous, and professional manner, handle transactions efficiently and accurately, and engage positive feedback from customers. Food Counter Attendant: A food counter attendant takes customer orders, accepts payment and provides accurate change, and serves customers at the food counters. Responsibilities may also include cleaning and sanitizing kitchen areas, clearing and cleaning trays, tables, and chairs, and resetting dining tables with clean napkins, tablecloths, silverware, dishes, and glasses. Grill Cook: Grill cooks prepare the food to be grilled, make beef patties, clean and prepare the required ingredients. They assemble and mix right amounts of ingredients and grill meat according to the menu specifications or customers’ preference. They may also be tasked to do the presentation or plating of the grilled food. Kitchen Helper/Dishwasher: Kitchen helpers and dishwashers are responsible for maintaining the cleanliness of dishes, utensils, glassware, kitchen equipment, and of the kitchen and dining areas. They wash cupboards, meat blocks, worktables, appliances and walls, sweep and mop floors, remove kitchen garbage, clean trays and tables, and replenish the dining tables and serving areas with condiments and other necessary supplies. Food Service Supervisor: A food service supervisor oversees, coordinates, and directs the activities of the team members who prepare and serve food. He estimates and orders supplies and ingredients needed for food preparation, maintains records of sales, wastage, stocks, and repairs, trains staff in safety and sanitation procedures and job duties, and ensures that quality control standards are met. Catering Supervisor: A catering supervisor’s responsibilities include interacting with customers, planning and preparing menus for an event, supervising the serving and presentation of the food, and making sure that food service exceeds customers’ expectations. A catering supervisor ensures compliance with all laws, rules and regulations related to food handling and safety. Shift Leader: A shift leader keeps the daily operations of the restaurant flowing smoothly and efficiently and makes sure the store is adequately staffed and that each work is accomplished on time. This leader assists, directs, and supports his subordinates on their assigned tasks during his shift, making sure each team member completes his duties satisfactorily. Assistant Manager: An assistant manager runs the restaurant in the absence of the general manager. He manages the daily operations including selecting, developing, and monitoring the performance of the employees, planning menus, managing budgets, and maintaining high quality, productivity, production, and customer service standards. General Manager: A general manager oversees all operations of the restaurant, including hiring, training, scheduling, and firing staff, purchasing food, equipment and supplies, and dealing with vendors and suppliers. The manager directs maintenance of the kitchen, dining areas, and exterior ground of the establishment. He is also responsible for accounting, payroll, budgeting, and other financial matters. Franchise Manager: A franchise manager finds and develops new franchisees for the company and helps the franchisees optimize the profit and sales of their respective franchises. The manager provides information and training on the business procedures and policies. He must have strong leadership, written and verbal communication skills, and be knowledgeable of the operations of a restaurant franchise. Job seekers may send their application online through Fatburger’s career portal. They may also search for available positions in certain locations to find the most ideal job for them. Applicants may fill out the online application form to start the process. They will be required to enter their personal information, availability/preferred schedule, educational background, skills and abilities, and employment history. Calling, emailing, or visiting hiring locations may be beneficial for applicants who wish to show their keen interest in the current employment opportunities. However, they should avoid contacting the hiring team during peak hours so as not to interfere with daily store operations. Along with the application form, applicants must upload their updated CV detailing their personal background, past work experiences, and other relevant information. Applicants with experience in the fast-casual restaurant industry may gain an advantage. Part of the application process is the on-the-spot interview during which job hopefuls must look their best and exude confidence and wit. Applicants may then check the status of their application by checking their email or logging into the career portal. Fatburger promotes an interactive and personable style of guest serving and ordering. The ambience is fun and upbeat yet the employees never forget to provide a high level of service that meets every customer’s needs. Since its inception, the restaurant chain has been known for its mouth-watering big-sized burgers which are prepared and cooked with the freshest ingredients using traditional cooking methods. The company had been in partnerships with known personalities including basketball icon Magic Johnson, former talk-show host Montel Williams, musician E-40, and musician and actress Queen Latifah. In 2007-2008, musician Pharrell Williams also partnered with the company in opening several Fatburger locations in China. Rapper Kanye West, through KW Foods LLC, opened two Fatburger restaurants in Chicago in 2009, which were either shut down or bought back in 2011. 1 How old you do have to be to work at Fatburger?